I can't think of any better way to start off the day than with a berry smoothie, and I am so excited to share with you one of my favorite recipes! It's easy, quick, refreshing and delicious and I know you're going to love it too! I usually use frozen berries for the smoothie base and fresh berries to sprinkle on top, and love to add crunchie toppings too! If you're not on the go, making a smoothie bowl is perfect, but if you're on the run, skip the bowl and pour it into a cup instead. 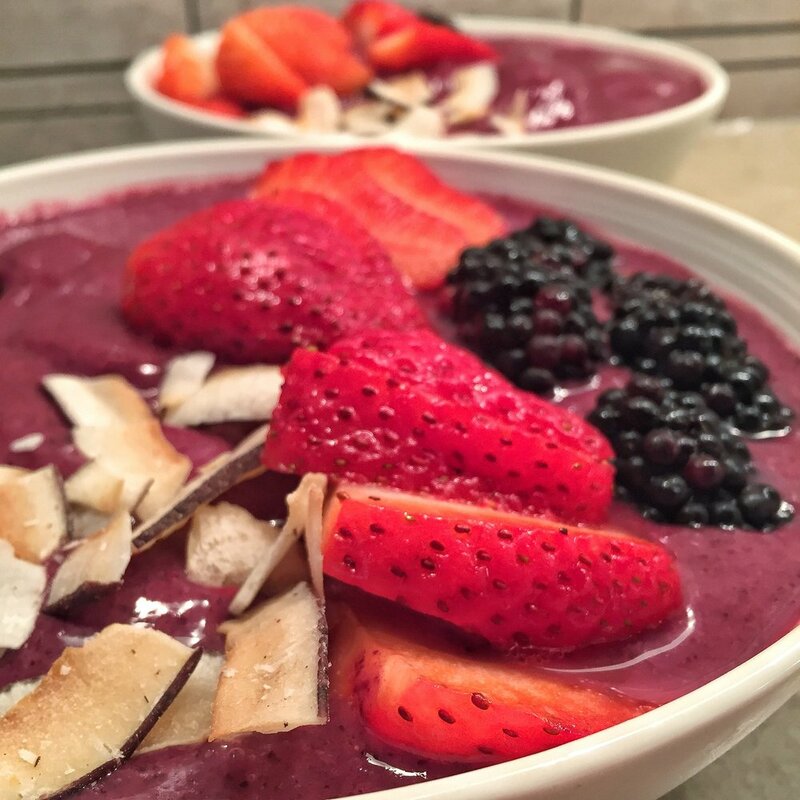 Besides the berries and the toppings, the main ingredient of this smoothie is the PROTEIN! It's hard to find good vegan proteins, but I've found one! Genuine Health makes fermented vegan proteins and not only is it unsweetened and unflavoured, but it's also gluten-free, vegan and non-GMO! I promise, it's so versatile and it doesn't have the chalky protein taste that some protein powders have. Also, for 1 scoop, it's 100 calories, 1 gram of fat, 1 gram of carbohydrates and 20 grams of protein! Taste wise and macronutrient wise, protein powders don't get better than this one! One of my tricks to help dissolve protein powder is to first put the liquid (almond milk or flaxseed milk are my favourites) in the blender and add a scoop of protein powder. Blend before adding the fruit, that way the protein powder dissolves perfectly. I can't wait for you to try this recipe and love it as much as I do! This smoothie is the perfect way to nourish, refresh and energize you in the morning, and I can't wait to hear what you think!